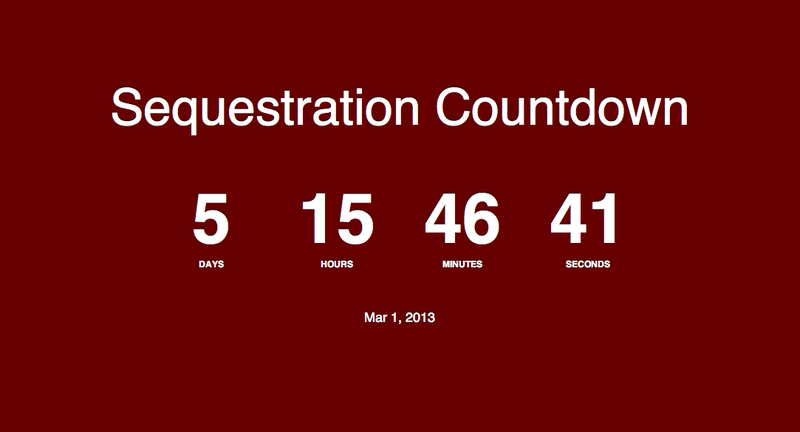 Sequestration Countdown – Ridiculous Travel Delays Are Coming…You Can Thank The Republicans! WASHINGTON — Outgoing Transportation Secretary Ray LaHood has a frightening message: Air travel could get worse. The Obama Cabinet member and former Republican congressman made a surprise appearance at Friday’s White House press briefing to warn that the looming automatic budget cuts set to go into effect on March 1 could lead to even longer air travel delays. The sequester’s across-the-board budget cuts will slash $600 million from the Federal Aviation Administration, which will in turn have to furlough air traffic controllers. More than 100 air traffic control towers will be shuttered, LaHood said. He said airlines would accomodate the cuts by providing less service. “We expect that they will change their schedules and cancel flights,” he said. Air travel in the U.S. already is no picnic, with rising fares, new fees and long security lines. The delays LaHood outlined perhaps would be a much more tangible — and annoying — result of sequestration than some of the cuts’ other consequences. “Nobody likes a delay, nobody likes waiting in line. If we can’t get our hamburger within 5 minutes, if we can’t get on the plane within 30, 40, 50 minutes of getting through, they’re going to start calling their member of Congress,” LaHood said of air travelers. The transportation secretary’s solution? Get Republicans back to the negotiating table to hammer out a deal and avert the sequester. “I suggest my colleagues on the Republican side go see the movie ‘Lincoln,'” LaHood said, noting that in the Spielberg film, people on both sides talked to each other. 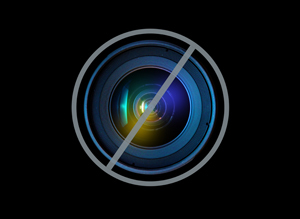 President Obama called Sen. Mitch McConnell and House Speaker John Boehner on Thursday, but negotiations to avert sequestration remain at a standstill. “I would describe my presence here with one word: Republican,” LaHood said. “They’re hoping maybe I can influence some people in my own party.” He added he had been speaking to about a half-dozen Republican members of Congress in hopes that they will agree to a deal. My sequestration posts have been pretty serious recently. Here is something that will hopefully make you laugh….. 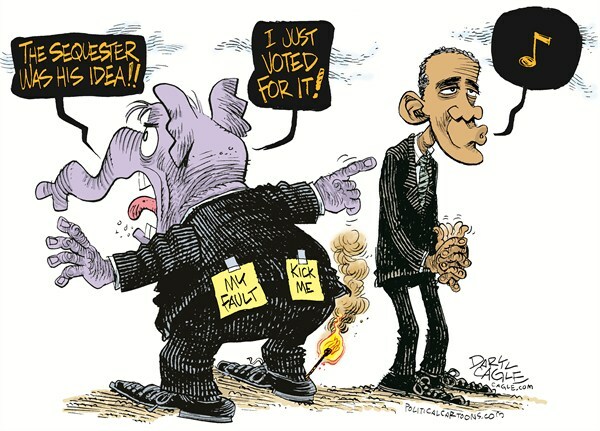 Thanks to http://www.cagle.com for this cartoon!